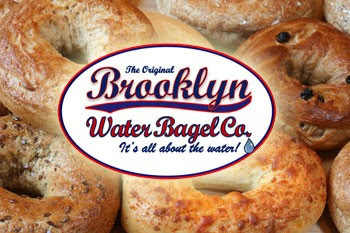 Boca Raton, Florida-based Brooklyn Water Enterprises is bringing their Brooklyn Water Bagel Co. to Atlanta later this year. Location one of what may be many across the city will open later this spring in Cobb County. The casual eatery from south Florida will open at Akers Mill off Cobb Parkway near Sprint and Subway in the former Soup Garden. Locally-based Uncle Maddio's Pizza Joint recently opened in a space not far away. You, like me, might be thinking it's a bit odd for Brooklyn Water Enterprises to be based in Boca Raton, but after some digging, I came to realize why. The company uses a 14 step proprietary technology to create "Brooklynized" water, and even bottles and sells it. Operating under the philosophy that whatever is being made is more about the water used than most anything else, the chain recently opened their first Brooklyn Water Coffee Co. and is planning a Brooklyn Water Pizza & Pasta Co. as well. Thus far the brand extensions are only planned for the Florida market with the coffee concept having recently opened in Delray Beach and the Pizza & Pasta concept planned to open later this year in Palm Beach Gardens. If the extensions prove successful, I'd surmise Atlanta could be an early market into which they will try to expand. Former CNN host Larry King is even a franchisee, and opened a location of his own in Beverly Hills, California last March. Overall the chain has ten locations, all in Florida aside from King's Beverly Hills eatery. Upcoming locations are planned for Pikesville, Maryland, Charlotte, North Carolina, Newton, Massachusetts, a few other cities and... Brooklyn, New York! The Atlanta market is fairly competitive when it comes to bagels, with representation from both local spots and national chains. Einstein Bros. Bagels has the largest area presence with over a dozen locations, including eateries on the campuses of Emory, Georgia State and Georgia Tech. Lakewood, Colorado-based Einstein Noah Restaurant Group entered Atlanta in the mid 90s (as Melvyn & Elmo's Bagels) and has done well overall despite having closed some locations. Two closures that stick out in my mind include one that closed near Bhojanic in Decatur. If memory serves, Einstein was in or near the space that is now Nectar. Another location that surprisingly closed was their Buckhead eatery near the Peach shopping center, which later became the world's first Moe's Southwest Grill in 2000. Additionally, Burlington, Vermont-based Bruegger's Bagels once had five locations in the metro area, but I recall them all closing around the same time in the mid 90s. In late 2009, the chain announced they would be returning to Atlanta in 2010 with a location at 6370 Powers Ferry Road, but as of yet that location has not opened. The latest I've heard is that they now hope to open sometime before April, and also have plans for another location at the Prado in Sandy Springs. I recall reading an excerpt from one of their executives stressing the importance of "the right locations in Atlanta," and have to question them thinking the Prado is anywhere near a good location.  The project is a mess and is not the place to re-enter, enter, launch or otherwise operate any food service enterprise. Local chain Goldberg's Bagel Co. & Deli now has seven area locations stretching from Colony Square in midtown to East Cobb. Their most recent opening was in Toco Hills near Emory. This opening was controversial to say the least, as it pitted them directly against neighborhood favorite Bagel Palace & Deli. For now, both are still in business, but insiders suggest Goldberg's has pulled ahead as the new neighborhood nosh spot. BB's Bagels (Bronx Bagels), a relatively new bagel joint, features New York style bagels, larger than ones found in most other eateries and has two locations, in Alpharetta and Johns Creek. 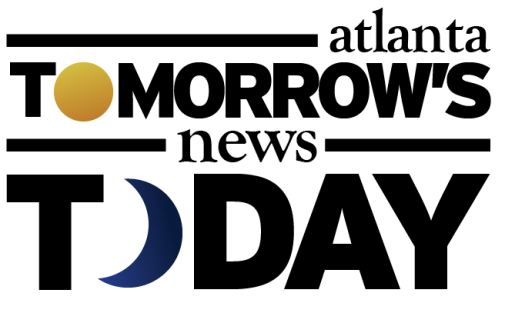 National chains such as Panera Bread and Corner Bakery each have a number of area locations and each have at least one new location under construction. Corner Bakery is opening a new eatery in Norcross off Peachtree Parkway, and Panera Bread is opening a new location in North Buckhead on Roswell Road. What's your favorite nosh spot? Do you prefer the local bagel joints to the national bakeries, and if so, who's your favorite? Do you agree that the water makes the bagel? I'll admit, I'm a NY bagel snob. NY bagels are the best and I've come to realize that unless I'm in NY, I will suffer with "the next best thing" as opposed to a true NY bagel. First let me say, it should be a crime to call Einstein's bread product a bagel. A bagel needs to be boiled before it's cooked. This is what creates the chewy/crusty combination. Einstein's does not do this. It amazes me when I see a drive through line around the building. Then again, both Red Lobster and Olive Garden continue to thrive. I digress... Goldberg's is the best bagel I've found in Atlanta. NY bagels? No. But they have egg bagels, something hard to find here. I'll drive anywhere in this city for the best bagels. Thankfully I live near Akers Mill and will try this new place, but just because they have Brooklyn in the name and have formulated NY water, doesn't mean they'll be true NY bagels. My taste buds will be the judge of that! Goldbergs is the closest you can get in Atlanta... I'm willing to try this new place, but here's to hoping they open some locations in the actual CITY of Atlanta instead of just Cobb, Gwinnett, and North Fulton. You both make some great points. As much as I hate to admit it, as I do LOVE Costco, the Einstein Bros. Bagels there are dreadful. Even worse than in the store, they have so little taste it's sad. I'm eager to try out this new concept and hope it's all it's cracked up to be and more. I too hope they open in actual CITY of Atlanta, it will be a challenge though to get a good location though. Weren't there a bunch of these bogus bagel places sprouting up in the early to mid 1990s?? Looks like bagles are the new fro-yo (revival of a concept that ran its course).. I think that the absolute worst bagels I've had are the ones made by the Kroger deli, which make no pretense of even trying to look lik e anything other than pale whitebread shaped like a bagel. Don't get too excited - when the original Brooklyn Water Bagels opened in Delray Beach, I rushed to try it on a visit to mom's. Meh! Nothing special. I will still swear by Bagelicious as a NY bagel afficienado of old. With all the new places opening and the old ones folks still tout, nothing comes close to Bagelicious in East Cobb (and I do travel to get there) for authentic. The location at the Prado will be a Brooklyn Pizza and Pasta. Coming Soon signs are already up on Level P2. The restaurant is set to open in April. Yes, Brooklyn Joe's Pizza & Pasta will open at the Prado. I think this is in place of the Bruegger's Bagels. Brooklyn Joe's currently has location in Canton and Milton. Thanks for your interest in the blog and for the comments. Einsteins does have some good offerings, like the power bagel and the vanilla hazelnut coffee. The biggest problem there is the terrible service. As a born and bred Brooklynite...I can attest to these being the best I have ever had...even compared to Brooklyn bagels...on which I was raised. Johns Creek IS part of the Atlanta metro area. Anonymous said Brookln water bagel will have better bagels than all the other bagel stores in atlanta but goldbergs is a better resturant.brooklyn water bagel has a good concept but will have to sell alot of bagels to support the high rent! so if they look busy they still might not be able to pay the rent.The owner is asian with no bagel experience so if they can teach him how to make good bagels in two weeks than they should be able to teach anyone!